Mickey Mouse is one of the most sought after Disney characters that little ones swear by. 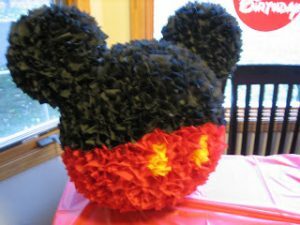 In fact for any occasion especially your kiddos birthday where you choose to make a big pinata filled with a host of lip-smacking goodies, you could definitely design one with a Mickey Mouse theme. 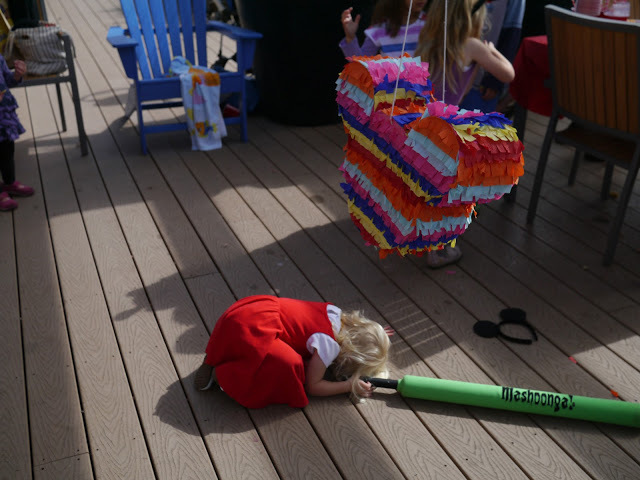 Do not forget the white polka dots on its dress for a distinguished look. You can go for a paper mache piñata or even make it using cardboard if you are on the lookout for something simple. 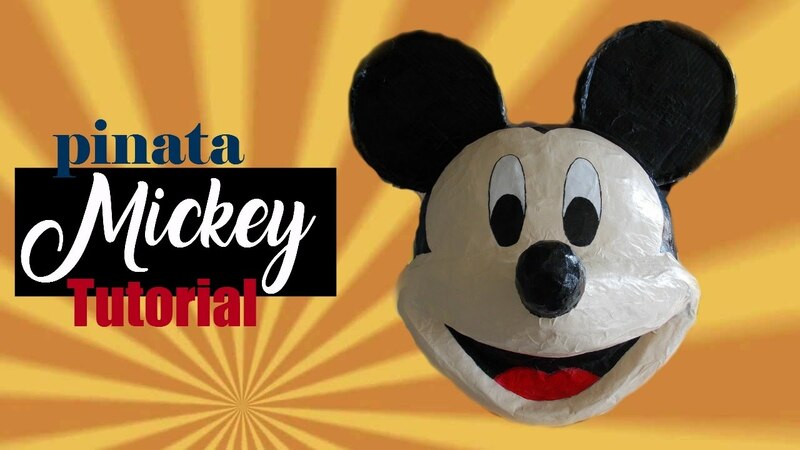 Read on to know more about how to easily make a Mickey Mouse piñata at home. 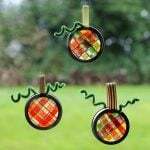 Go for dark googly eyes to give it an authentic look. 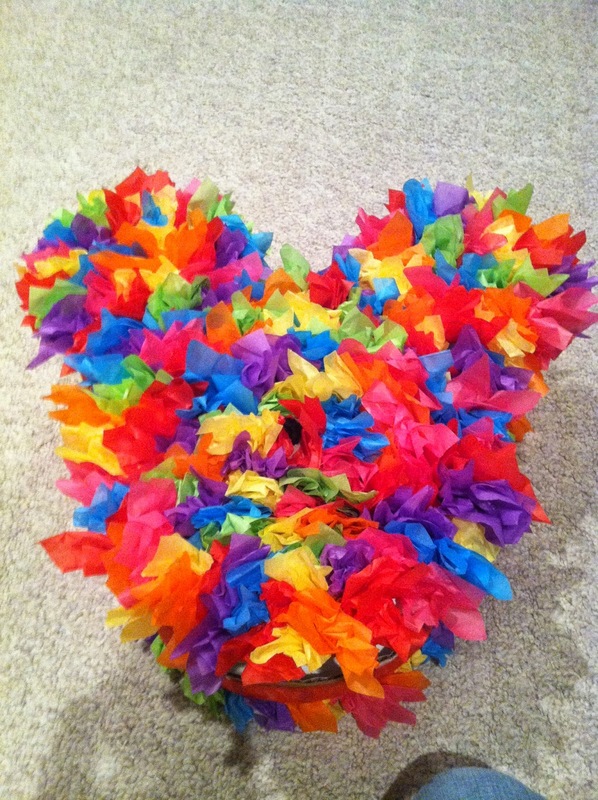 The little ones would be in for a sweet surprise to see a shower of their favorite candies once the strings are pulled. This kind of piñata would be apt for toddlers who can just pull the strings to get their goodies instead of going through the tedious process of breaking it. 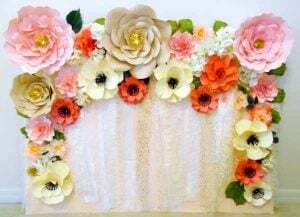 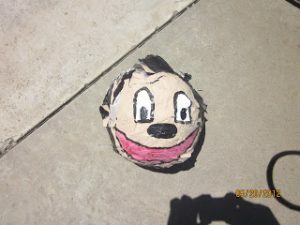 If you do not want to get into the hassle of making a paper mache piñata then replace it with a cardboard for fast and easy results. 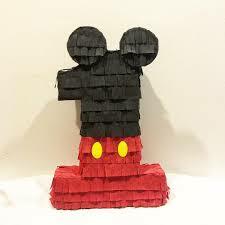 If making it for your kid’s first birthday, then you may place the number 1 using a cardboard at the center of the piñata. To transform it into a Minnie Mouse, you just need to attach a red bow at the center. 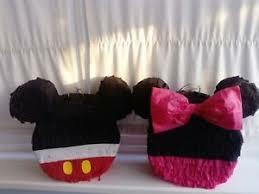 The image below would give you another interesting idea of making a Minnie and Mickey mouse in combination. 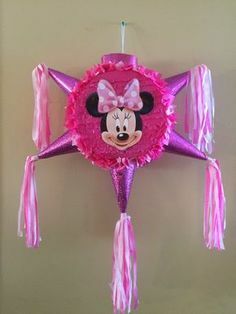 The pink shade for the Minnie piñata gives it a feminine touch. Whether it is your kid’s 1st, 2nd or 3rd birthday, you could use this concept where more emphasis is given on the number. 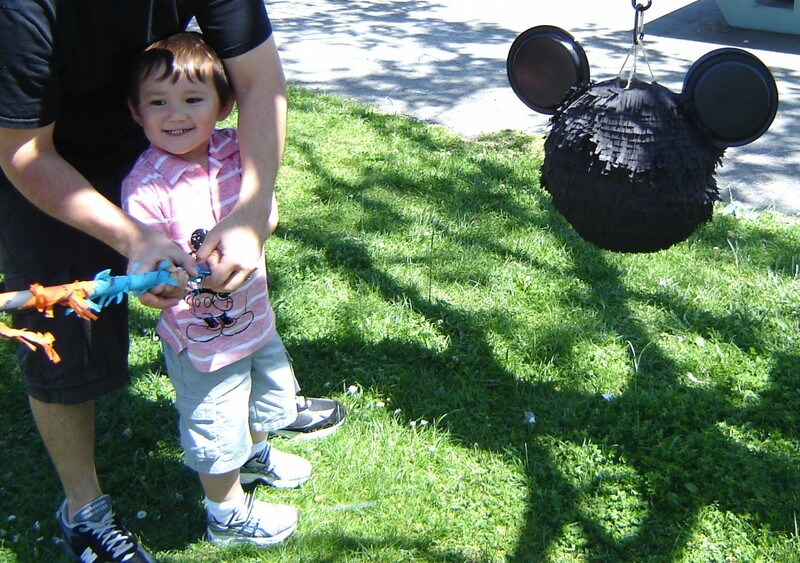 Instead of forming the center of the pinata, Mickey Mouse is glued in the middle using printer paper. 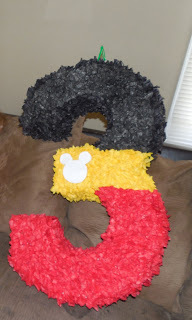 You can also follow the design below to make a “number piñata, where the ears have been included in the number as shown here. 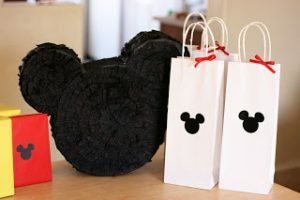 If making it for Halloween, go for the all black theme. 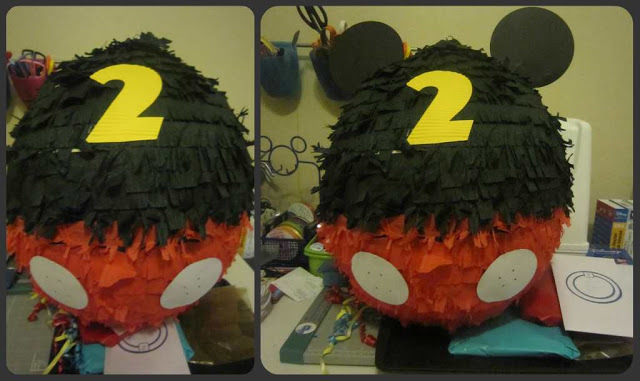 If you have planned for a large scale celebration, then a big piñata as this one would be a perfect choice. Follow the tutorial in the link to make the star and then fix a picture of Mickey Mouse in the middle. All of the given tutorials show you to make only the head and face, however, to make the full body using paper mache or simply cardboard, you would need to chalk out the design first, while the rest of the techniques remain the same. 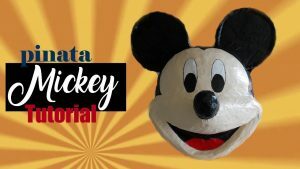 Following the same method you could also make piñatas of other Disney characters like Donald Duck, Winnie the Pooh, Pluto and many more.